For my upcoming Sailor Moon Roleplaying Game campaign, I’m trying something different than my usual campaign prep regimen. Instead of taking it one session at a time, I’m—gasp!—trying to get as much prepared as possible before I run out of time or inspiration. This has essentially boiled down to outlining the villains’ plot arc, such as their major objectives and modus operandi. It’s been easier than I would have guessed so far, but perhaps that’s the beauty of using an established setting and drawing heavily on existing mythologies for inspiration. I’m also designing the campaign with a set number of sessions in mind because I’ve figured out that running a game past the four month-mark is really hard for me. Below is more or less an outline of my process as I’ve gone from campaign spark (let’s run a Sailor Senshi RPG!) to detailed campaign document that is over 1,500 words long so far. Last week we kicked off the campaign by getting together for character creation, which miraculously took only two hours for five people with only one core rulebook to share. It probably helped that I printed off a cheat sheet with all the Character Attributes and Character Defects, as well as the formulas for the Derived Values. Incredibly, I was able to determine my villains and their primary objectives just off of the senshi team my players selected (each is a guardian of a moon from a different planet in our solar system) and the setting (a university in England). Their choices immediately sparked a couple of essential questions: what happened to the nine planetary senshi? And why England? It was time for me to do some research. Sailor Moon has a rich mythos from which to draw, even if I ignore the last season, Sailor Stars. I’ve been looking at the lore of the Silver Millennium, Dark Kingdom, Crystal Tokyo, and Golden Kingdom to help tie the player characters and their adversaries to the world (and also to refamiliarize myself with canon, so that I can make conscious decisions to alter it if the story requires me to do so). While trying to answer the two big questions posed by the nature of their senshi team, I read up on some of the other iconic villains from the series to see what relationship these new enemies might have to those. I also did some brief research on British history and found some articles that really piqued my interest. That got the ball rolling pretty quickly, with my mind free-associating the wiki articles I’d read with the nebulous ideas floating around in my head. Soon, ideas were crystallizing rapidly, and I was jotting down notes as quickly as they came. Those ideas, in turn, prompted me to do some additional research, which allowed me to revise or refine, add or subtract, additional ideas in my notebook. I had the basic concepts down pretty concretely, but next I had to figure out how to structure them. Luckily, the show I’m drawing from has five different seasons’ worth of story arcs off of which to model my own campaign. They usually structure the show around specific villains or items, such as the “Doom Tree arc” or the “Rainbow Crystals arc.” I had both villains and items in my notes, so I thought about what order would make the most sense. So far, I have an introductory arc of four episodes, with eight more episodes forming the main plot. Finally, I’ll probably need one-to-two more sessions for the final confrontation, for a grand total of sixteen sessions. That’s four months’ worth of game if we play every week. Realistically, with the holidays coming up, that’s going to be much harder, so we should be good until March at least, by which point I will probably want my Thursdays back (at least until I get some fool notion about GMing back in my head, which will be almost immediately—guaranteed). I’ll need to be careful to keep the middle arc from becoming predictable, so I’ll probably want to subdivide it further to keep the tension mounting. It will help that I’m going to break the players into two groups, so each will only be experiencing “half” the story. Luckily, even when combined, the group is still mostly manageable, so I can have them all show up for plot-heavy sessions when they’ll need the strength of all their friends in order to triumph over evil. Finally, I have a couple of themes rolling around in my head, each of which will be featured heavily in certain episodes regardless of the specific story arc. For the individual episodes themselves, I’m using Gnome Stew’s 3-3-3 Approach To Quick Game Prep. By figuring out what the enemy is doing each episode, I can come up with thematic locations and relevant characters. Most importantly, I need to figure out the end goal and come up with at least one path to get there (knowing full well that it won’t survive contact with the players). The Hook: The audience is treated to a scene that foreshadows the conflict the Senshi are going to face in this episode. 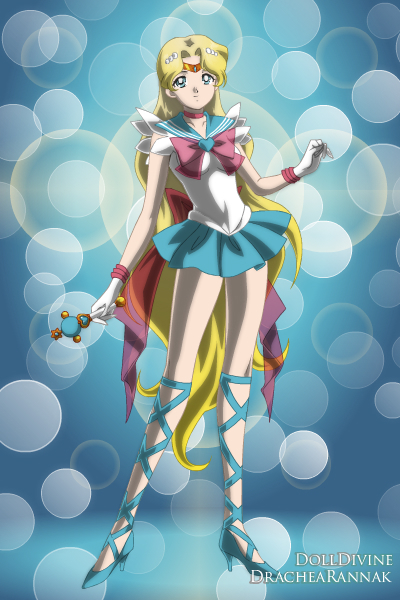 Usually this has to do with the monster of the week, but other times it has to do with the senshi themselves. The Trials and Tributions of Daily Life: we get to see Usagi and her friends dealing with the normal problems of being middle/high school students. Glimpse of the Bad Guys: The audience gets to see what the bad guys are up to. Daily Life Interrupted: Usagi or one of her friends are drawn into the conflict set up in the hook, and investigate further. Make Up! The Henshin: Once the girls have discovered the threat, we get one to two minutes of stock transformation sequence. Fight! : The Sailor Senshi use their powers to defeat the enemy. The War Continues: We get another scene with the villains or some other slight cliffhanger that the underlying conflict persists. See also Kyetxian’s “How to Write a Sailor Moon Episode” comic. The closer the series gets to its finale, however, the more likely the standard formula will be ignored. The challenge, as I see it, will be to adapt this script to one more suited to a roleplaying game experience. For that, I’m probably going to hew closer to the various chapters in the Sailor Moon: Another Story SNES RPG. For tall the work I’ve already managed to do, I’ve still got a lot cut out for me! Last but not least, it definitely helps have an awesome soundtrack to listen to while prepping. I’ve been listening to a playlist of the 16-bit game music from the Sailor Moon Another Story SNES game. It’s Sailor Moon-y, it’s nostalgic, and it’s instrumental. Cool. As a Gm myself (40-something with 2 small girls) this is looming on the horizon, but it was also more or less the way I want to prep my campaigns.